Congratulations go out to Ariya Jutanugarn for winning the Canadian Pacific Women's Open. It was Ariya's second consecutive victory, and fifth of the year. 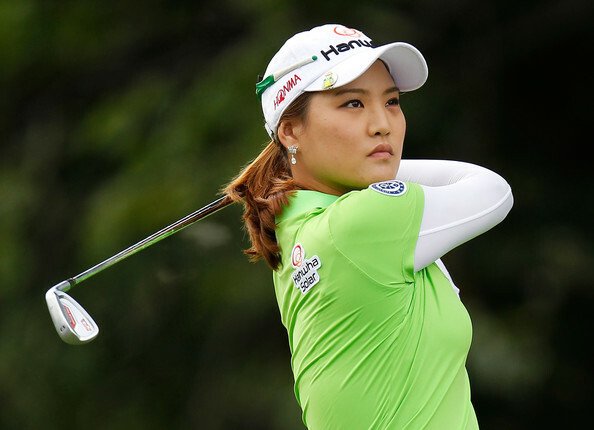 She has clearly become the most dominant player on the LPGA tour the second half of the season. With ten tournaments still remaining on the LPGA schedule, she now has to be considered the new favorite for the Rolex Player of the Year Award. 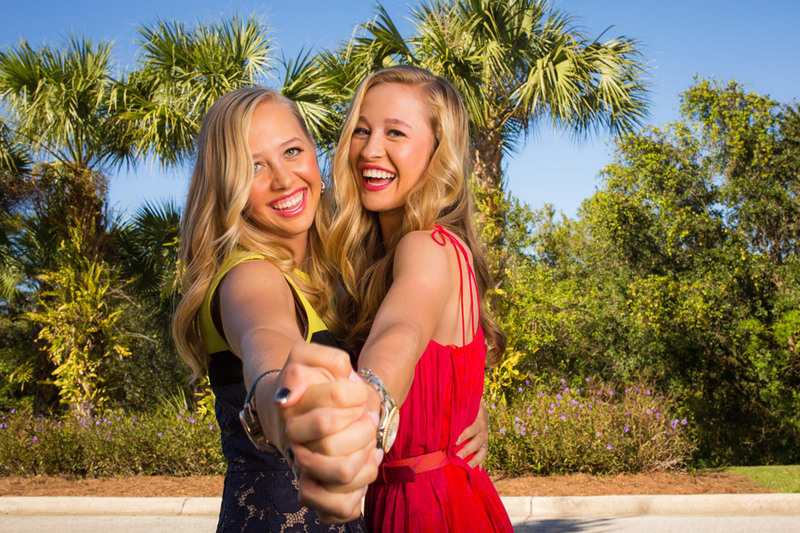 This week the LPGA moves to Ontario, Canada for the playing of the Manulife Classic. This is a tournament where you will see lots of birdies made. Many may remember last year's exciting finish, when Suzann Pettersen was victorious by one stroke over Brittany Lang. Her 22 under par total is typical for this golf course. This will be tournament #24 of 33 on the 2016 LPGA schedule. Here are some pictures that my wife and I have taken during the past few days at the Canadian Open. Keep in mind that the weather has been horrific the first couple of days. It has been cold, drizzly, and extremely windy, which affected the quality of some pictures taken later in the day. Most golfers were so heavily dressed it was hard to tell who they were, but we tried our best. Update: The weather has gotten much better here on Wednesday....and the weekend promises to be very nice, If you're in the area come on by and see these talented young ladies. It's now Wednesday and it is finally a beautiful day! Many of you may remember last year's exciting finish when Lydia Ko defeated Stacy Lewis in a playoff. It was Lydia's third Canadian Open victory in the last four years. This will be tournament #23 of 33 on the 2016 LPGA schedule. My strength of field rating is a very solid 80%. 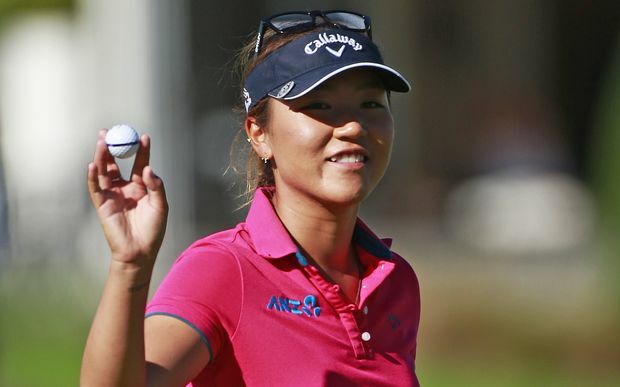 The field will be led by the top 3 players in the Rolex Rankings: Lydia Ko, Ariya Jutanugarn, and Brooke Henderson. Twenty-one of the top 25 players will be teeing it up. Players missing from this week's field include: Inbee Park, Lexi Thompson, Candie Kung, and Pornanong Phatlum. I will post the first round pairings as soon as they are made available. Golf will be returning to the Olympics for the first time since 1904! How Did the Players Qualify For the Olympics? 1- Qualifications were based on the world rankings as of July 11, 2016, with a total of 60 players qualifying. 2- All players who were ranked in the top 15 of the Rolex Rankings as of July 11, 2016 automatically qualified. The only exception to this is that one country may not have more than 4 players. 3- The remaining spots went to the highest ranked players from countries that do not already have 2 golfers qualified. 4- The International Golf Federation has guaranteed one player from the host country of Brazil. 5- The International Golf Federation has guaranteed that at least one golfer from each geographical region ( America, Africa, Asia, Europe, and Oceania) will qualify. The format will be four rounds of stroke play. The first round will be played on Wednesday August 17, and conclude with the final round on Saturday August 20th. I usually do this about four times a year, but very seldom do I have a change between periods as monumental as these current stats when compared to my last posting. The main reason? 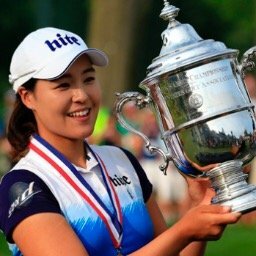 Ariya Jutanugarn! When I last did this (Stats & Facts vol. 28), Ariya's name was not mentioned once in any category. Since then she has been a dominating player on the LPGA tour, winning four times, including her first major championship. Although she still has not overtaken Lydia Ko for the lead in most major categories, most are too close to call, and the final 11 tournaments will determine the winners. Although the LPGA is taking a break from tournament play for a few weeks during the Olympics, the past weekend was a very busy one for some players. I have already reported the news of Stacy Lewis getting married this past Saturday, but this past weekend also brought some of the LPGA members and staff together to celebrate another occasion.